Rihanna at the ceremony to rename Westbury New Road, Rihanna Drive, tonight, November 30, 2017. 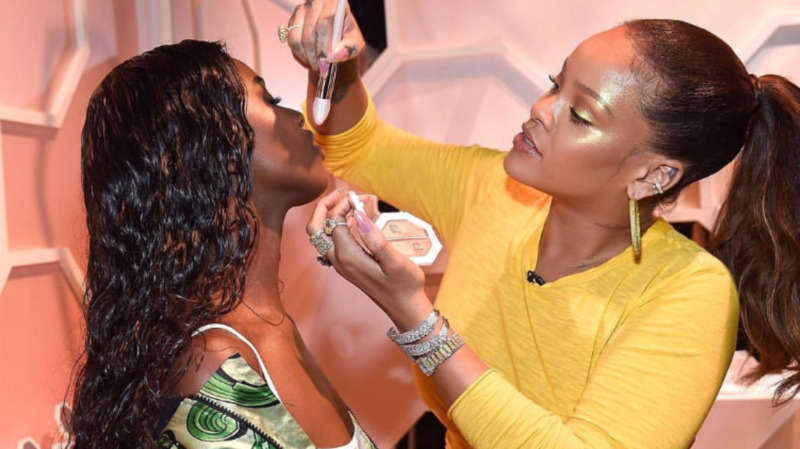 The legacy of Robyn ‘Rihanna’ Fenty, which started out as a dream in her home in Westbury New Road, St. Michael, Barbados, has been written on the island’s history pages in a tangible way. 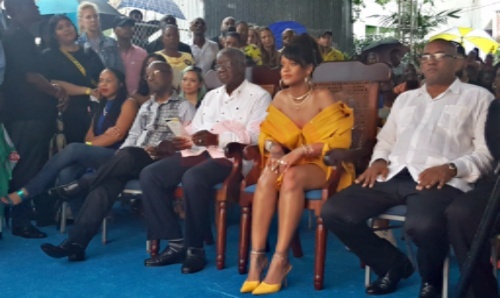 Tonight, Cultural Ambassador Rihanna and the Prime Minister of Barbados, the Rt. Hon. Freundel Stuart unveiled the fingertip sign which officially renames Westbury New Road, Rihanna Drive. The event scheduled to start at 3:00 pm, was delayed by showers of rain. Rihanna arrived just after 4:30 pm, accompanied by her entourage including her close friends Sonita Alexander, Melissa Forde and Leandra. 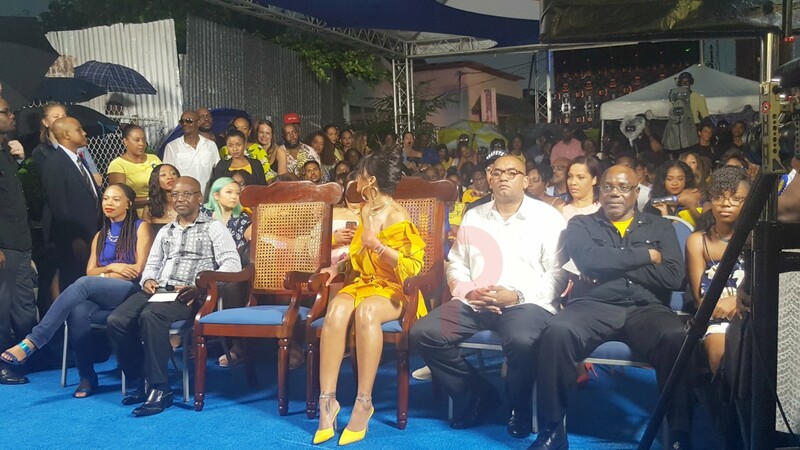 Dressed in yellow, Rihanna popped like her Fenty Beauty Trophy Wife highlighter as she greeted the Speaker of the House and Member of Parliament for her former constituency – St. Michael West, Michael Carrington; the Minister of Tourism Richard Sealy and the Culture Minister, Stephen Lashley, before receiving a bouquet from Charles F. Broome Primary School Head Girl Anya Walcott and Head Boy Alique Marshall. The international media and local media jostled for space to get the best photos from the best angles as vantage points were blocked by umbrellas and bodies when people tried to get as close to the Grammy-award winning singer as possible. 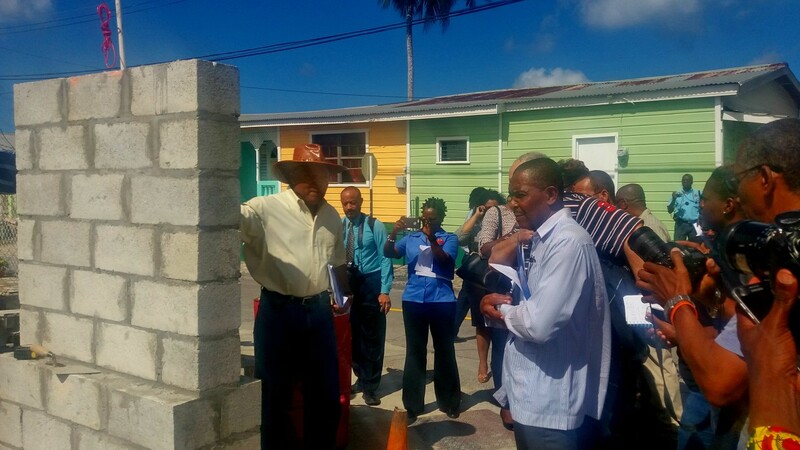 Members of the Royal Barbados Police Force quickly made light work of the situation and order resumed for the proceedings to ensue. The Masters of Ceremonies were Kirk Brown and Nadia Brancker. Rihanna sang along quietly with five-time NIFCA Awardee Kareem Agard, as he rendered the Barbados national anthem. She sang the first verse word for word. Prime Minister Stuart recognised many of her accomplishments and accolades over the years in song, film, fashion and now makeup. And just as the 50th Anniversary of Independence was remarkable, he said that this activity added something extra to the 51st Anniversary. “The highlight of our Independence Day itself is the annual parade of our uniformed groups, [but] this event now adds a special touch to this year’s Independence Day. It is etched forever in our minds, as an Independence Day when a richly deserved honour was conferred on a most outstanding young Barbadian woman. The person deserving this honour of course is, none other than Robyn ‘Rihanna’ Fenty who has earned the enviable reputation of being the most successful and multifaceted entertainer in the entire history of Barbados,” he said. Rihanna may always think of it as “Westbury New Road” according to her, but the community members are proud of the new name and they feel that their daughter of the soil is truly deserving of the honour. She cackled, clapped and downright enjoyed all the ‘shout-outs’ from her neighbours and friends as they congratulated her on the newest achievement. Every time she was surprised by another neighbour, another familiar face in the pre-recorded videos, she lit up like a Christmas tree and smiled or laughed out loud, while glancing frequently at her friend Sonita to confirm their inside jokes or shared jokes brought on by the anecdotes shared on the screens. The students of Westbury Primary School in their Rihanna acrostic, written by thir teacher, got it right with an ‘R’ for roaring success and ‘N’ for never give up, but they made Rihanna double snap and giggle when they called her a ‘sassy Queen’. At they end she clasped her hands, and slightly bowed her head, while saying ‘Thank you’. Trinity Clarke, the 11-year-old powerhouse so impressed Rihanna that at one point RiRi got to her feet and was just mouthing ‘Wow’ and ‘Amazing’. Clarke won the 2017 Richard Stoute Teen Talent contest. She got a loud round of applause. Known as 'Ife' in the Westbury community, Kathy Harris talked glowingly about her Robyn and said that because of her, “Westbury is now a brand name” and the renaming is just the beginning of all that will be done in the community to continue to help the young Westburians see the community in a positive light. 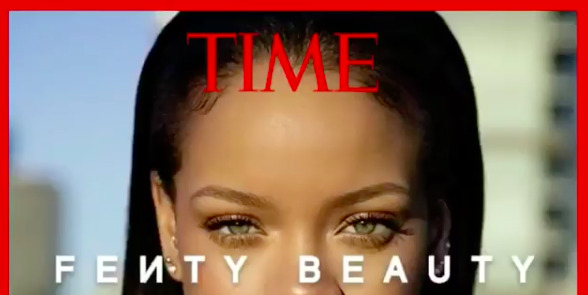 At points during the evening, Rihanna dabbed at the corner of her eyes, moved by the tributes of some. Mrs. Nikita Herbert also got loud applause when she rendered Rihanna's chart-topper 'Love on the Brain'. Rihanna tapped out the notes in the air and followed Nikita to each crescendo. When she took to the podium just before 6:00 pm, Rihanna said a big "Thank you guys!” to the organisers and especially to her Westbury neighbours. 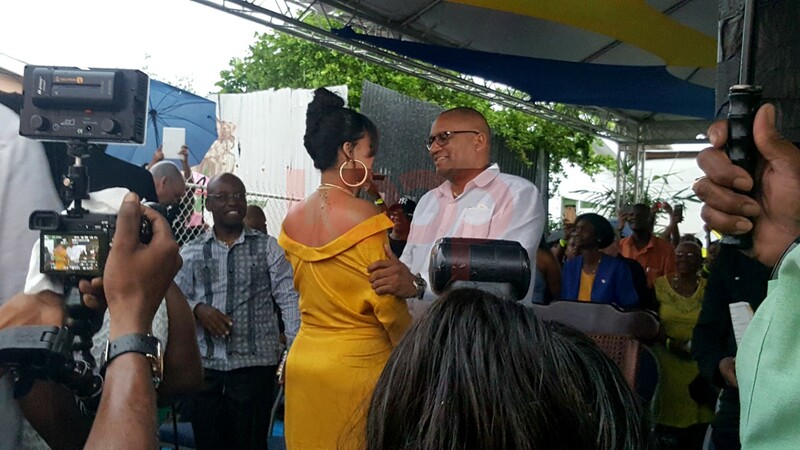 Following the ceremony was a block party, where Rihanna, her family, friends, dignitaries, tourists and other locals including those who live in and around Westbury continued the celebrations to mark the momentous occasion.